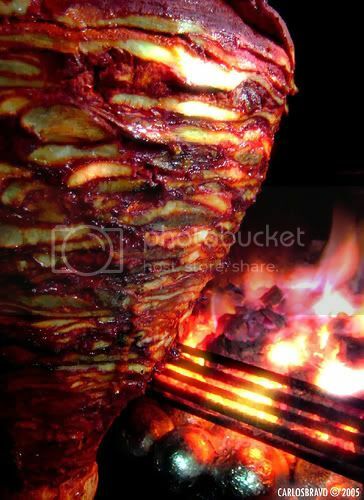 I was browsing the internets and came across this photo of a roasting al pastor spit. What a beautiful sight.This photo belongs in the Smithsonian. Senor Bravo has captured the essence of al pastor. Polar Inertia has an informative look at the taco truck business in Los Angeles. They say that LA has as many as 4000 taco trucks! Maybe I should reconsider my goal to review all of them. 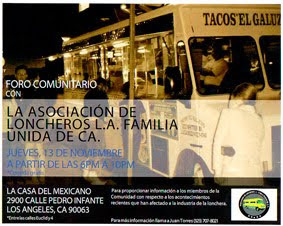 Also don't forget to email the City Councilabout the new taco truck ordinance. The ordinance goes into effect July 23rd. I might have to send some El Matador tacos over to City Hall. 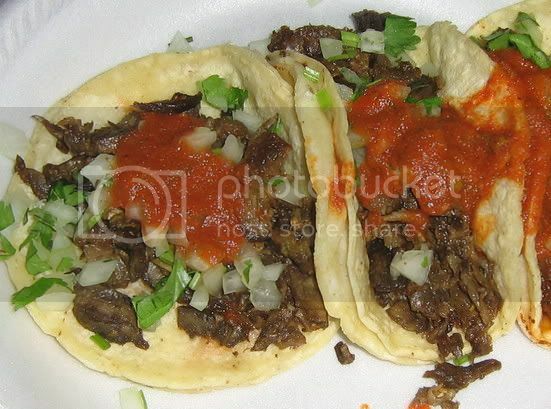 I think you're photos of tacos belong in the Smithsonian. I know that personally, they make frequent appearances in my dreams.